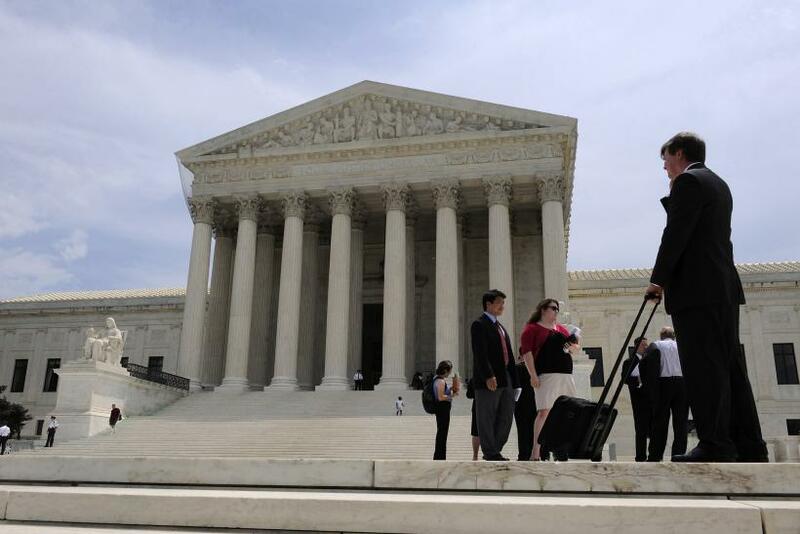 As the October 2013 U.S. Supreme Court term gets under way Monday, the docket is more appealing to legal nerds than to the general public, which has grown accustomed to high-profile cases on subjects like gay marriage and health care reform. But just because this term’s cases aren’t blockbusters doesn’t mean they aren’t very important. Unions and businesses are among the groups with a lot to win or lose this term. Over the next few months, the Supreme Court will hear two major cases that could prove a major setback to unions' ability to organize and collect dues -- and the conservative majority on the court is making pro-labor advocates nervous. In this particular case, the union, Unite Here Local 355, struck an agreement with Mardi Gras, a Florida casino company, under which the casino would not interfere in the union’s organizing drive, and in return, the union promised not to strike during that organizing period. That kind of agreement is standard practice across the country. The challenge to this routine agreement alleges that the casino’s concessions to the union, which included a promise to remain neutral during the organizing campaign, violates an anti-corruption statute that was intended to keep employers from bribing unions by specifically prohibiting companies from giving union officials “things of value.” Until very recently, no one considered that these organizing agreements would constitute bribery in the same way that the casino might be trying to bribe the union by letting union officials borrow the corporate jet. The second major labor case this term involves payments to public-sector unions. In Harris v. Quinn, a home health care worker in Illinois sued the state’s governor for requiring her, as a public-sector employee, to pay union dues, arguing that these mandatory payments violate her First Amendment right to freedom of speech. Conservatives are excited about the case. One reason the pro-labor camp is nervous is a 2012 Supreme Court case called Knox v. Service Employees International Union, in which the court laid the groundwork for rolling back unions' influence, which could play out in both the Unite Here and Harris cases. “One of the things that doesn’t get written much about this court is how resolutely anti-labor it is,” Garrett Epps, a constitutional law professor, said in a September Supreme Court panel event at the Brennan Center for Justice. He pointed to the Knox case as a reason for unions to be fearful.